This has been the one of those weeks where the unexpected sickness hits your house and your the one who is sick. 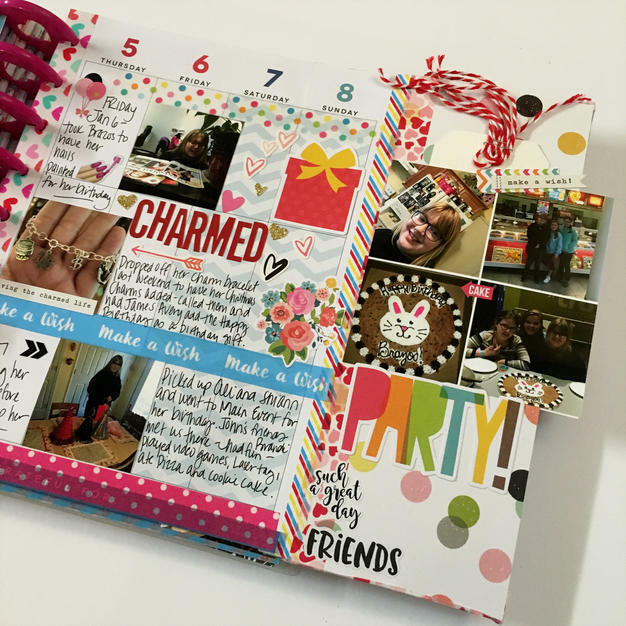 I started feeling bad Saturday night, but I figured after the AWESOME fun time I had at the ATX Planner Addicts Mini Retreat, it was to be expected. Then the sore throat came, followed by congestion and followed by the worst headache of all time. When sleeping sixteen hours in a day doesn’t help, it was time to go to the doctor. After having to wear a mask, while I wait to see the doctor, due to the fact the flu is going around I find out I have a Sinus Infection. 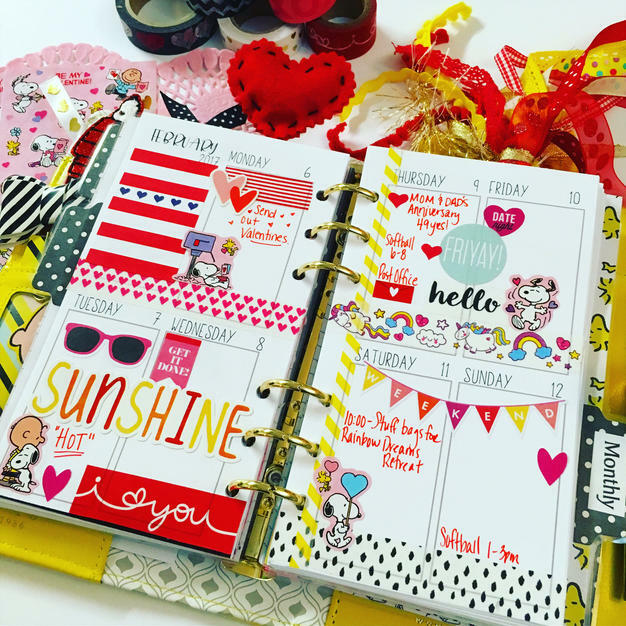 There is hope and antibiotics and setting up my planner this week in blooms to make a girl feel much better! 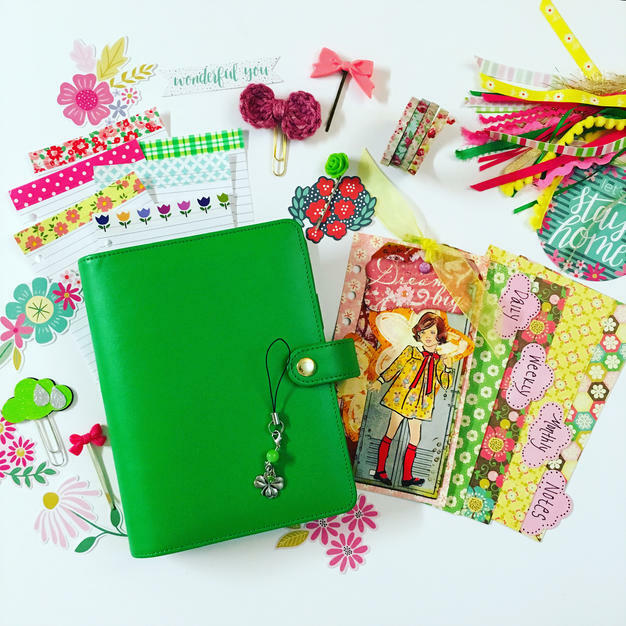 Something about the upcoming month of March just makes me think of blooms and GREEN! 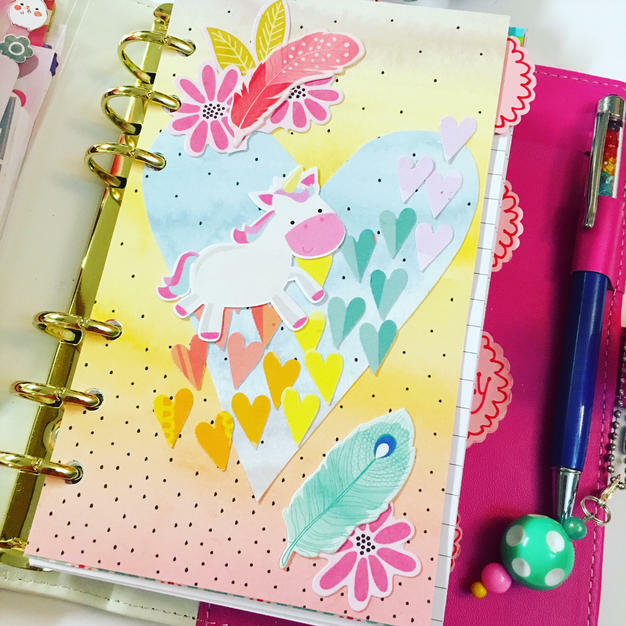 I love this Recollection Planner from Michaels, the color is so FUN! I selected a handmade tag using mixed media techniques and a vintage girl I cut from an old dress pattern for the dashboard. I also added several clips I acquired from the SWAP at the retreat. This week, is full of stickers from Echo Park paper Company and Crafty Conny. I think it looks so happy! Happy Valentine’s Day!! 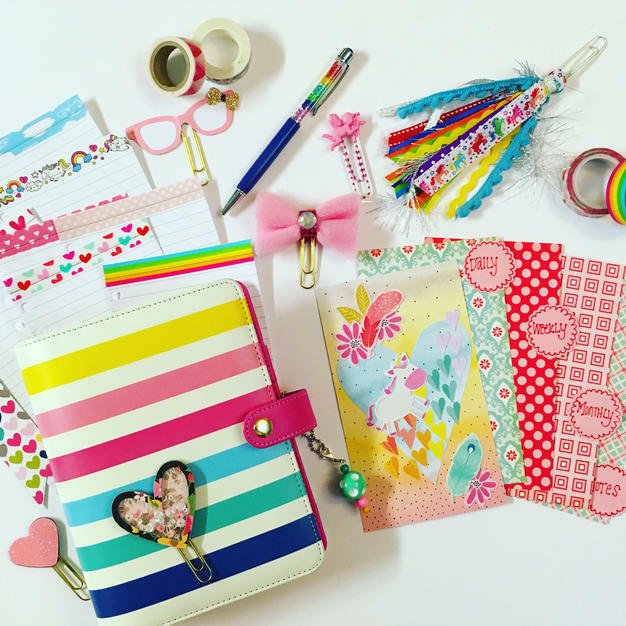 This week’s Planner Set-up is combing Valentines Day and the ATX Planner Addicts Rainbow Dreams Planner Retreat happening this Saturday, so hearts, rainbows and unicorns it is! 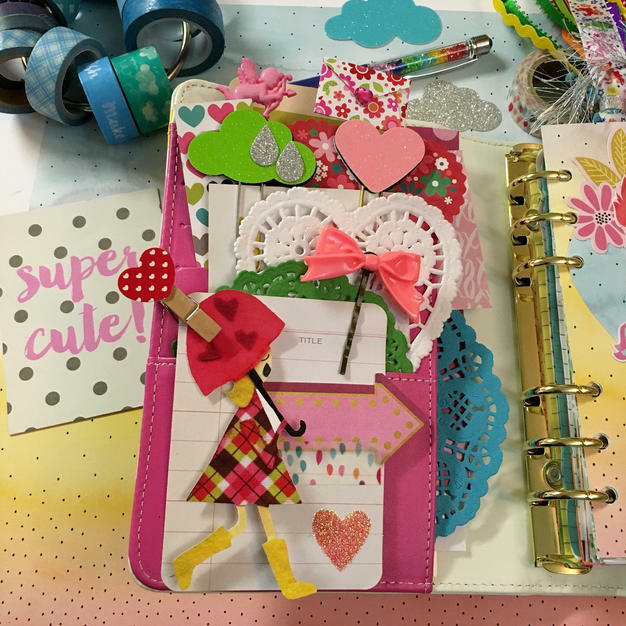 I created this dashboard using a heart punch and embellishments from “Oh My Heart” by Pink Paislee. 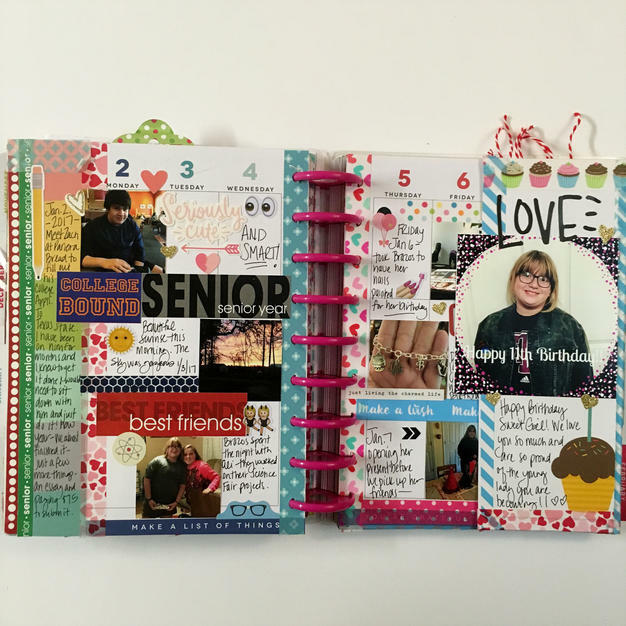 and cardstock used is by Dear Lizzy. 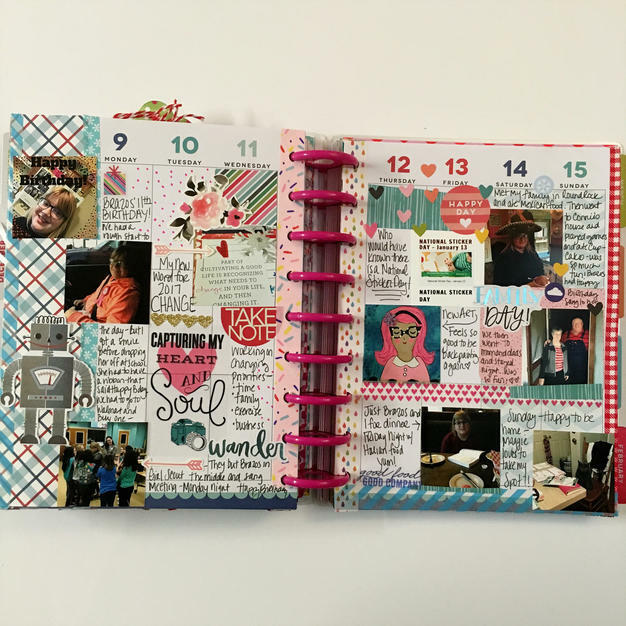 Although I didn’t think I had anymore room for any other theme, I woke up to rain this morning, so my little Rainy Day Girl Die-Cut made her way into my planner spread. 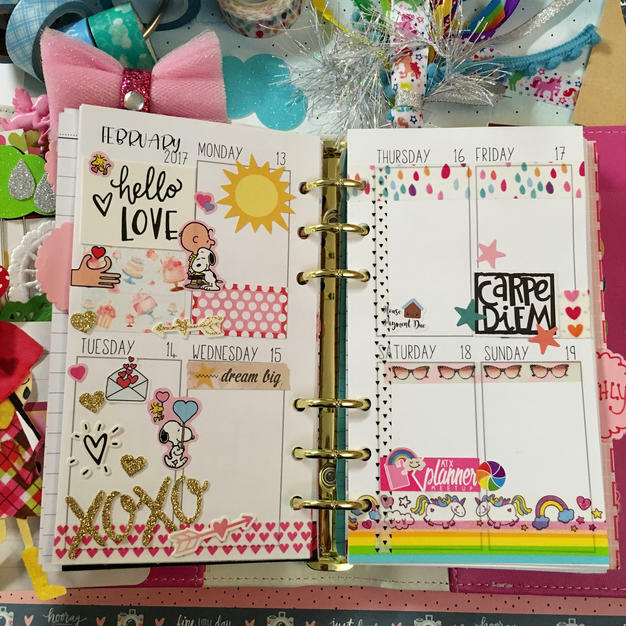 Staying with the theme, my weekly planner spread decorating is full of LOVE and RAINBOWS. 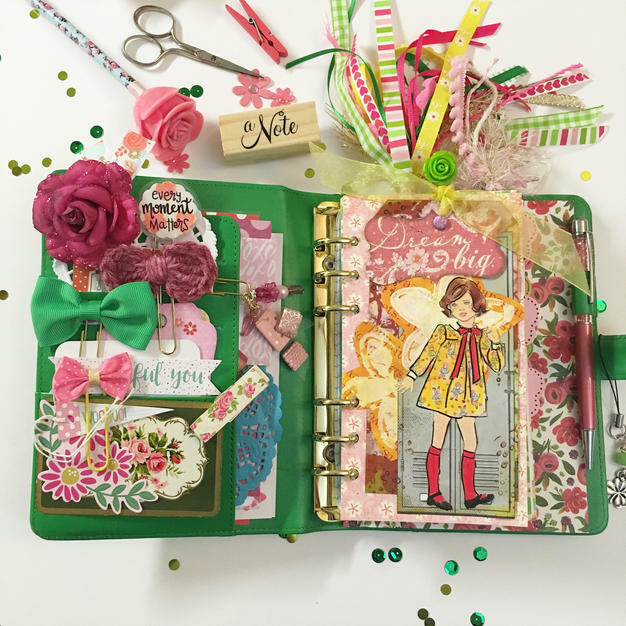 Thanks for stopping in and I hope you are inspired to create something fabulous in your planner! 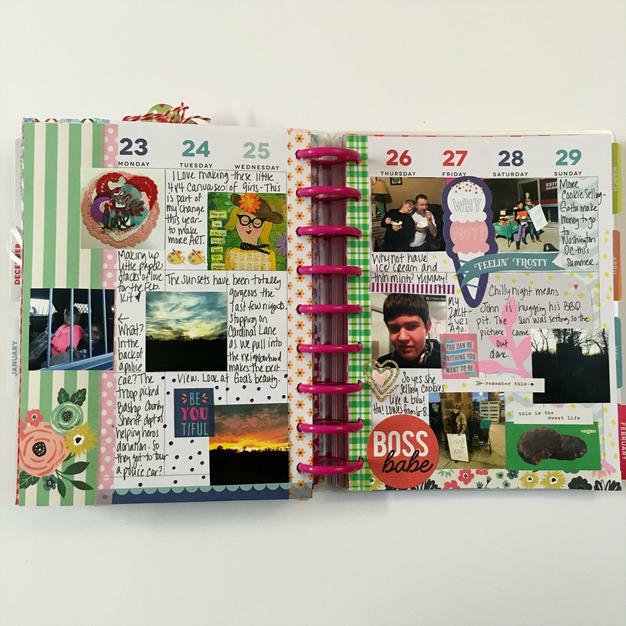 I have been using my Happy Planner for Memory keeping since June of 2016, but last year I found that I’m struggling to keep up to date. So I am thrilled to say I’m caught up for the Month of January 2017. 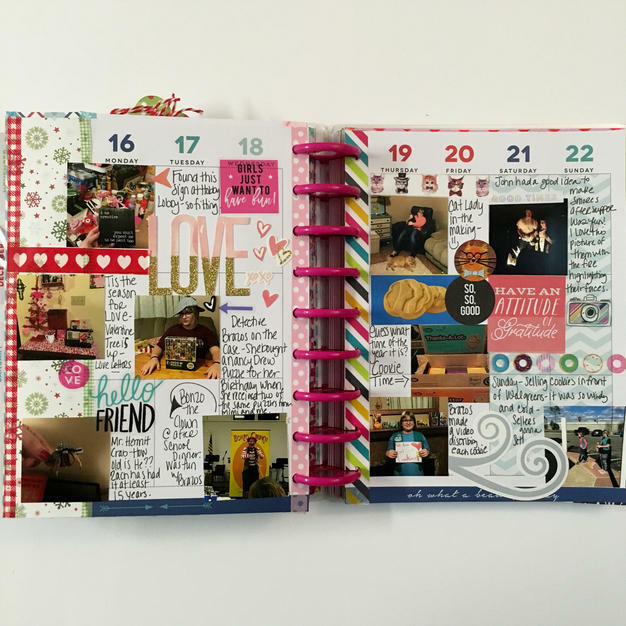 Memory Keeping, documenting our story with words and pictures is so important to me. This was one of my goals for 2017, change my thought process and make time for what is important, and THIS is important to me. So let me show you January! If you watched my previous video, you would have already seen the first week in January. We celebrated my daughter Brazos’ birthday. Here’s to a great start for the New Year! 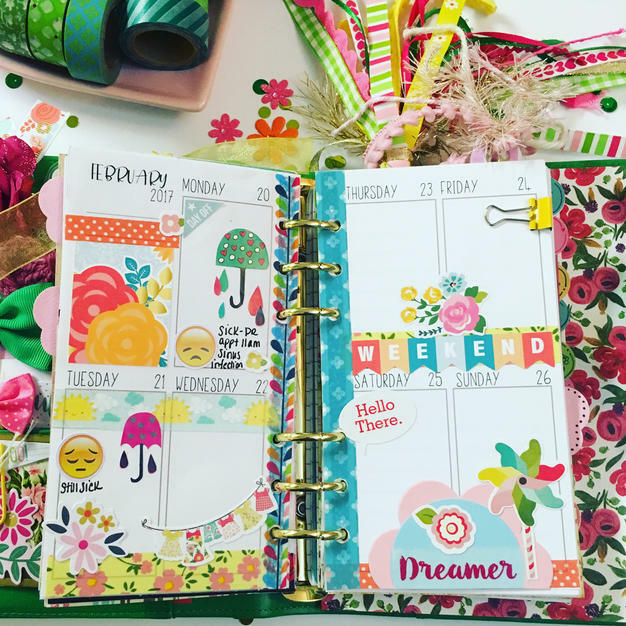 Each week I enjoy changing up my planner to either match the season or whatever theme is making me happy! This week it’s all about my favorite childhood comic and cartoon character Snoopy! The Peanuts gang is near and dear to my heart. I was thrilled to find printable papers on Etsy under the shop name The Gift of Fun. After downloading the file, I had several of the paper designs printed at my local office supply store, Staples. The actual files I purchased is full of images of the entire Peanuts Gang and I can switch my dashboard character throughout the year. I love the fact that the files are downloaded so I can use the images for years to come. 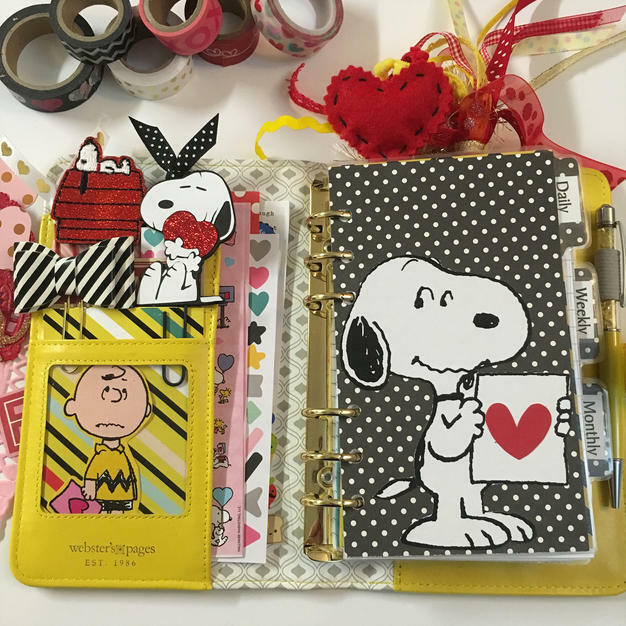 Here is what my week looks like after adding washi and Snoopy Valentine Stickers!